Not being able to keep a firm grasp on the objects you're handling can not only slow you down, but it can also be dangerous if you handle hazardous materials. 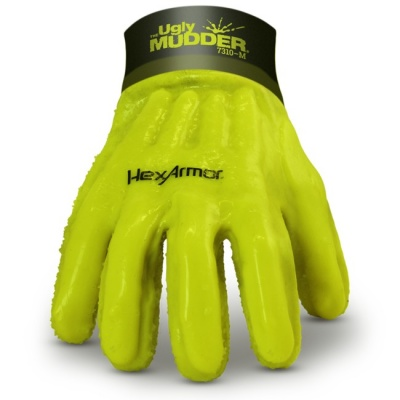 The HexArmor Ugly Mudder 7310 Liquid Resistant Gloves are designed with textured palms for added grip and durability whenever you deal with fluids. The Ugly Mudder 7310 Gloves are available in four sizes. To find out which size will fit you best, please measure the circumference of your hand around the knuckles (excluding the thumb) with your palm open and your fingers together. Next, measure the length of your hand from the tip of your middle finger to your wrist. 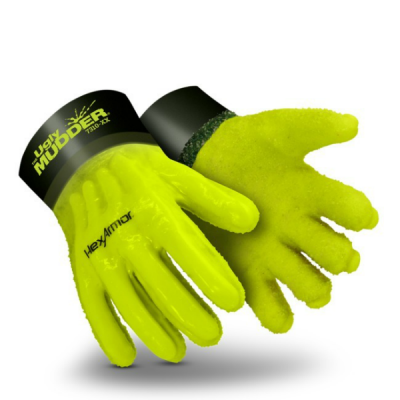 Find out more about the Ugly Mudder 7310 Gloves by watching the video below. 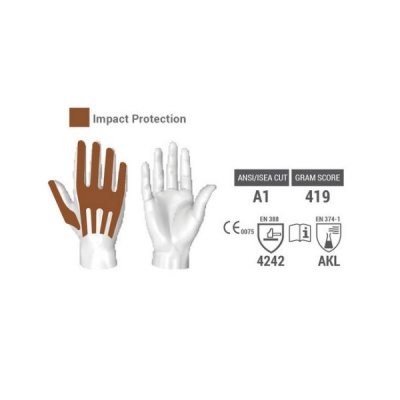 These gloves rely on a premium PVC-nitrile dip to create the most durable, lightweight and liquid-resistant glove on the market.